The world was shocked when two of India's most popular hotels were placed under hostage by terrorists. Tourists from different nationalities were placed under hostage in their hotels. Mumbai, one of the biggest cities in the world when it comes to total population, became a city of hostages. Commandos and snipers were placed around the hotels and as of this writing, more than a hundred people are dead and even more injured. In just a few days, Mumbai was transformed into a city of chaos. Any tourist right now is hesitant to go to India for fear of terrorism. 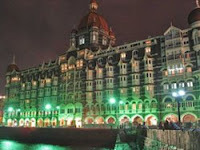 The biggest and the most luxurious hotels in Mumbai were captured by terrorist which means any other smaller hotels could be under the command of terrorists in no time. The government of India is actively doing everything they can to calm the world regarding the situation. The local government of Mumbai has unfortunately admitted their lack of preparation for this type of attack. The worst is yet to come in Mumbai. There is now great pressure to the government from the international community to resolve this conflict fast. Although Mumbai should be able to address this, the aftermath and the effect of this event to tourism will last for years. The ordeal is not over yet but right now, the city has been tagged as dangerous and calming the effects of the ordeal will take months or even years.